Is Your Bottled Water Clean? The controversy isn’t simply about tap vs. bottled water; most people drink both, knowing the importance of plenty of water. What they may not know is that some bottled water may not be as pure as they expect. 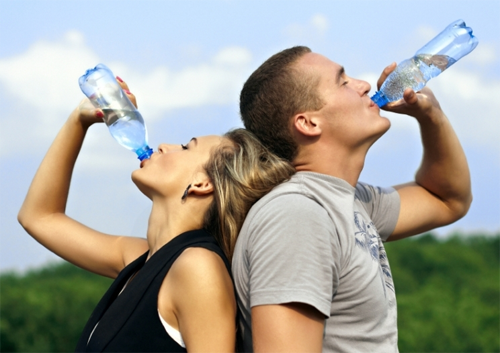 In 1999 the NRDC tested more than 1,000 bottles of 103 brands of water. 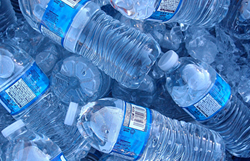 While noting that most bottled water is safe, the organization found that at least one sample of a third of the brands contained bacterial or chemical contaminants, including carcinogens, (A carcinogen is any substance, radionuclide, or radiation that is an agent directly involved in causing cancer.) in levels exceeding state or industry standards. Since the report, no major regulatory changes have been made and bottlers haven’t drastically altered their procedures, so the risk is likely still there. "the sense of safety offered by bottled water is a mirage. It turns out that breathing, not drinking, constitutes our main route of exposure to volatile pollutants in tap water, such as solvents, pesticides, and byproducts of water chlorination. As soon as the toilet is flushed or the faucet turned on—or the bathtub, the shower, the humidifier, the washing machine—these contaminants leave the water and enter the air. A recent study shows that the most efficient way of exposing yourself to chemical contaminants in tap water is to turn on a dishwasher. [...] We enjoy the most intimate of relationships with our public drinking water, whether we want to or not." What's So Bad about Our Drinking Water? Most water contains fluoride, chlorine and a host of other unhealthy toxins. One of the most toxic substances we know of is fluoride and yet it is found in almost all brands of toothpaste. It's added even though there is no data to support its effectiveness in the fight against tooth decay. Today you can find fluoride in bottled water, and even baby formula. Tap water is actually fluoridated, meaning it's added to water deliberately, notwithstanding it's almost as poisonous as arsenic is, and more toxic than lead. This substance is so toxic until the fluoridation process has been banned in several countries. Chlorine is added to water to kill certain bacteria. This chemical can be inhaled in gas form and absorbed through the skin and therefore presents a danger even if you're present in the room with it, to say nothing of drinking it. Chlorine and chloramine was added to rats' water supply and as a result the rats developed tumours in the liver kidneys and intestines. These are just points that we need to be aware of. These days there are lots of filtering system that you can get that not only clean your water of toxic chemicals but also add electrolyte's to your water. Electrolytes are the minerals required by the body to function. Drinking electrolytes like sodium, potassium, calcium, phosphate and magnesium in water has become a popular way to replenish these minerals, especially after hitting the gym.